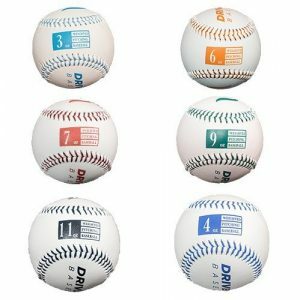 Should pitchers use weighted baseballs? Does throwing weighted baseballs cause Tommy John elbow injury? 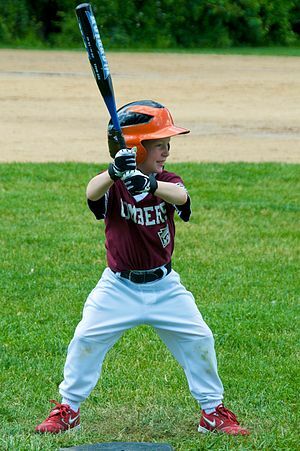 How to know if an elbow injury is serious; What is "Little League elbow"
3 Stages for creating good arm care habits to prevent arm injuries in youth baseball. How often do you recommend to work with the J-Bands, daily or weekly? How often should a pitcher do long toss? Should pitchers ice or heat their arms? How many pitches should a pitcher throw in a pregame bullpen? What is a good pregame routine? 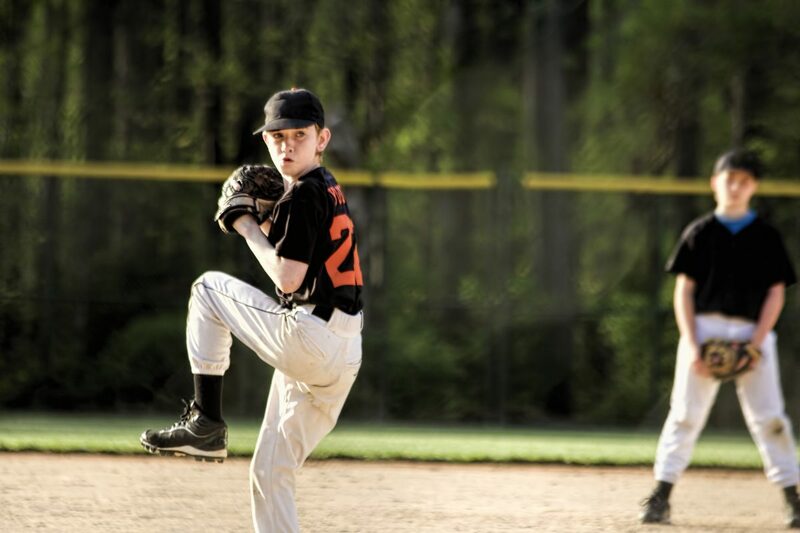 Should youth baseball pitchers throw off speed pitches? Breaking balls? Changeups? For teams that play a lot of tournaments where the pitchers might be throwing once a week, what do you recommend for bullpens during the middle of the week? “Jason: Real quick, my name is Jason Hirsh. I’ve got an academy in Central Denver called FAST Arm Care. We specialize in arm care for pitchers and velocity development. And so Danny (VP of Baseball for the Arapahoe Youth League in Denver, CO) asked me to come out and speak about some arm care issues and pitching stuff. I don’t want to go… I guess I tend to ramble a lot, so I just want to try and make it quick, and then if you guys have questions, I think it could be better if you could just ask me what you might be interested in, what is on your mind about arm care or velocity development, any of those things. So [what do I mean by]under preparation? You guys are coaching 12, 13, 14-year-olds, so at that age, kids are doing a lot of growth, a lot of development, and we want to be careful with a lot of that stuff. But the under preparation side is [failing to do]simple things, like, arm care. [For arm care,] I’m a big believer in the J-Bands, Jaeger Bands. Alan [Jaeger] is one of my pitching mentors. He’s a guy that I always look to for arm care information advice, whatever it might be, and then I kind of followed the rabbit hole based off to him. I had kids come to me and ask about weighted balls. I’m sure you guys have all seen your kids maybe asking about it or watching videos or hearing about it in the media, the Driveline Program or any Texas Baseball Ranch, any of those things. 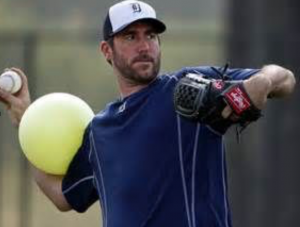 Should pitchers throw weighted baseballs? He said, “Call Kyle up the Driveline.” They’re good buddies. So I end up talking with the guys up the Driveline, and we had a great conversation about 45 minutes. And at the end of it, I said, “You know what, I’m going to do my research.” I read through all their articles, some of the medical stuff that they publish, and then I bought a set of balls, and I did it myself, and I had a lot of fun doing it, I saw a lot of growth when I was doing it. And so we slowly start to incorporate little pieces of it into our programming, and now, we’re pretty much full-bore with [using weighted baseballs in a very strategic and carefully supervised throwing program](Clarification added after the presentation). That would be VERY irresponsible. So part of that scare tactic that you might see now is [people saying things like]“weighted balls caused Tommy John” or whatever the injury might be, and part of that is the preparation part of it. It’s the implementation of a programming. So any kind of arm care stuff that you guys are going to do with your players, you’ve got to be consistent with it, and you have to prepare properly. At 12 to 14 years old, your kids are no longer made out of rubber bands and bubble gum. So that doesn’t mean jump right into the middle of the program. You’ve got to start the beginning and kind of work your way up. J-Bands are very simple way to do that. As a team, it might take you 10, 15, 20 minutes at first to do [the arm care routine]. Once those kids learned those exercises, it’s a five to six-minute at most routine that they can get through prior to doing any throwing. At the bare minimum for me, that should be something you guys should be incorporating with your players to just ensure that there’s some kind of a method, there’s something that they can do to prepare their arms. Just showing up to ballgames, grabbing a ball, and going out there, and [INAUDIBLE 00:03:24] as far as you can is not arm care, it’s not warm up, that’s danger. At 12, 13, 14 years old, your kids are no longer made out of rubber bands and bubble gum. They have injuries. They have soreness. They have pain. These are things that we have to be extremely aware of. And they usually point right to that bone on the inside of the elbow. And I said, “That to me is a huge red flag. And they’ll you whether that’s good or bad, most of the time, it’s a bad thing. Little league elbow is just the fracturing of the growth plate and the only known cure for it right now is rest. It’s two months basically sitting on your hands. I’ve got young kids and I know if they didn’t do anything for two months, couldn’t do any physical activity that drive me bonkers. So just doing something as simple as J-Bands and making sure that you implement a program properly can go a long way towards preventing them and I think Danny, you guys couldn’t go over pitch counts, right? So pitch counts are a great way to do this and I know you guys might harp on the pitch count thing. Well, we were in a tournament last year in Gering, Nebraska, all-star tournament, I had a coach from Missouri come up, and he’s all pissed off because he had to pull his kid after 40 pitches so he could pitch the next day. And I said, “About 24 hours of rest, that’s the biggest difference,” right? So we just need to be careful with how we do things. Throwing 60, 80, 90 pitches in a game just for the sake of a victory at 12, 13, 14 years old, it’s not worth it. It’s not worth their health. It’s not worth the tournament. It’s not worth the trophy or a medal. Those kids are never going to remember that stuff, right? Winning at this age shouldn’t be the priority. Development should be the priority. You guys should be teaching kids proper mechanics, putting in a place proper procedures, proper habits. And for little kids – you guys who have kids, you guys know – that habit creation is not an easy thing. It’s different for everybody, but there’s three stages of it. I do it because I want to do it. Getting from A to C is different for everybody. It might take a kid a week, it could take him a month, it could take him a year. Everybody is going to be different. All right, that’s the second stage. And then they just start showing up and doing it because they know that if they don’t do it, you’re going to harp on them, and now you’ve created a habit, and it’s a good habit where these kids are always going to show up, and do it. 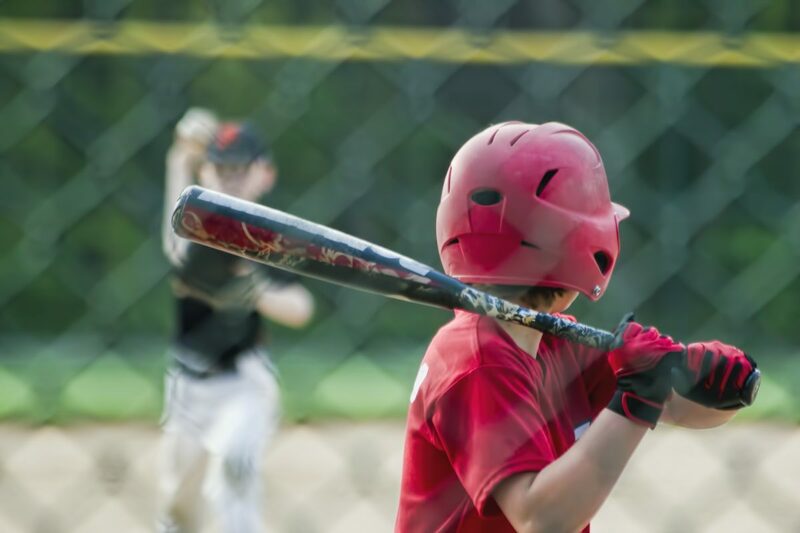 And I’ve tried to tell some of our youth teams, I say, “Hey, if you get together as a team and you do it down the line, the cerebral warfare that goes on with baseball in tournaments. If you have a whole team down the line all doing the same thing, the other team is going to look across the diamond and go, ‘Holy hell! What are those guys doing?’” And then they come out there and then whether you’re better or not than them, you’ve already started that competition before a pitch has ever been thrown. So there’s a lot of things that go into youth arm care, a lot of it is education, a lot of it is common sense, but we have to understand that this is about development. It’s not about winning. Once these kids get to high school, that’s when winning starts to mean something. Then they go to college and then hopefully they go to the pros, but we have to have some development first. They’re not going to remember winning a 12-year-old tournament getting a medal, but they’re going to remember the day they get drafted, or maybe the day they signed to go play at the college of their choice. Those are days that are going to be memorable, not just for them, but for mom and dad also. So like Danny was saying, baseball is very expensive right now. It’s not a cheap sport to get into, but arm care is cheap. It’s very simple. Even from something simple as just going through stretching routine, J-Bands cost like 35 bucks. It’s a very simple, cheap method that you guys can just do to ensure that your players stay healthy, and a lot of it, again, is just common sense. So we can do a lot of these things just to kind of prevent a lot of injuries. 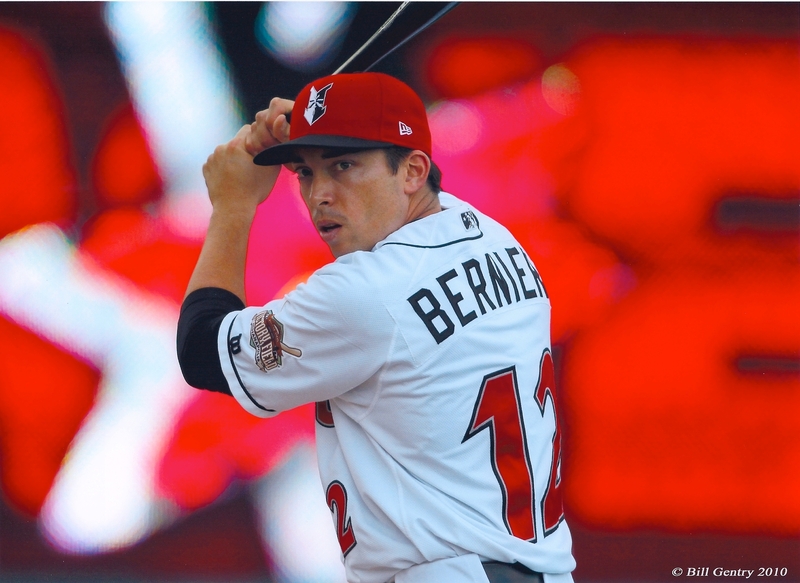 For more free baseball instruction, exclusively from current and former professional players, coaches and scouts, sign up for our email list. 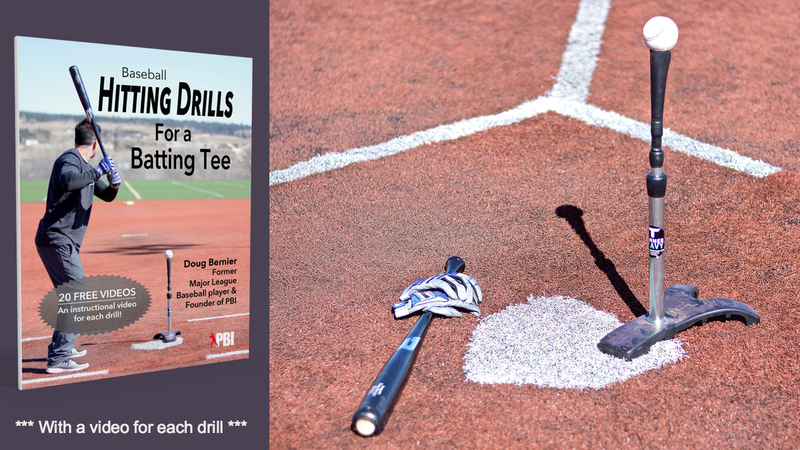 We’ll send you top quality baseball instruction each week for FREE. And some of you might be like, “Well, we don’t have time for this.” Well, you’re going to have to make time. We have a lot of high school kids that come into our facility where we work out of and a lot of them haven’t started throwing bullpens yet and they got tryout starting tomorrow. And then they’ll go two weeks and then they’ll start playing games. Well, that’s not nearly enough time to build up, but these kids had been hitting since November and December in the cage. Well, I don’t know about you guys, but it doesn’t take that long to start recognizing pitches and hit balls off a tee. It’s very simple to do. However, preparing your arm is a long drawn-out process. That’s why we have spring training in the major leagues and that’s why guys show up early. Pitchers and catchers report 10 days early because they have to get a jumpstart on everybody because this takes a long time. It’s not day 125 pitches, day 260 pitches. No, it’s 25, 35, 45, they build it up. It’s the same thing with our kids. If we start arm care for pitchers in November, December, and some of those kids might be playing multiple sports, and that’s fine. Multiple sport athletes are awesome. In fact, I would encourage it. However, those kids or the kids that are going to have to make time because they’re never going to find time. So just very simple stuff. If you don’t have access to J-Bands, long toss is another great option. You can do your stretching routine as normal and then start trying to get some long toss to condition the arm. One thing that we try and tell our kids is just learn how to enjoy the active throwing. It should be a fun time when you’re playing catch with somebody. Yes, you can sit there, and B.S. with your buddies, and have fun, but at the same time, you’ve got to learn how to enjoy the active throwing. Learn how to enjoy it. And then at the same time, learn how to listen to your body. A lot of these kids are growing and developing so then some days they’re going to have aches and pains or soreness, in other days, they’re going to feel great. And I can tell you the days where I felt like garbage are tended to be the best days for me for long toss because I didn’t know really what my arm would feel like until I’m going through my warm-up routine, until I started throwing, and all of a sudden my body started telling me, “Yes, I want to throw today.” And I’ve had plenty of days where I’ve gone out there and, “Man, I’m going to throw this ball hundred yards,” and never get to 50. It’s just the way our bodies work, but it’s learning how to listen to it and not forcing anything. …and the other part is they need to understand the difference between soreness and pain. We should never ever throw in pain. No kid should ever throw in pain. So you have to understand the difference between soreness and pain, and it’s difficult for kids to learn, it’s difficult for coaches to decipher. If it’s sharp, shut them down. There’s no reason to try and push through that. More throwing is not going to fix it. More throwing is going to hurt it even more. And we already discussed throwing more with pain tends to be longer injuries, whether it’s a surgical injury or a growth plate injury, whatever it might be. And kids who have throwing pain tend to not have fun playing baseball and they’re going to want to quit because they don’t want to always be in pain. So if it’s a soft pain or a dull pain, then you can say, “Well, you can dig a little deeper. Is it soreness? Do your muscles feel sore? Is it in a joint?” Ask them to point to where it is so that you can understand what it might be, but at the same time, if they point to your elbow, it’s just not automatically Tommy John or not automatically little league elbow. There’s a whole myriad of things. So I would encourage you guys to do some reading and do some research, and if you want, we can talk about the different resources that I used that I recommend that parents and coaches also read just to kind of familiarize yourself with some of these ailments that we might find. So that’s just… real quick here, and again, I want to open it up and let you guys kind of ask some questions on something that might be on your mind or the questions that you might have had from your players, other coaches, or other parents. Jason: Perfect! Yeah. So the question was often should you use the J-Bands. I tell my kids use them everyday. Baseball Coach: Once a day? Jason: Yes, once a day. So try and do it before practice, go through the whole routine. There’s 11 exercises in the exercise sheet. It’s free to download from the Jaeger Sports website. So all you do is buy the bands. There’s no other additional cost to the program. And then we have our kids will do 10 to 12 reps of every exercise before practice. And then after practice I have them do 25 repetitions of just the external movements. So if you download the sheet, it’s exercises 7, 9, and 10. Those are the external movements. So there are your externals down low, you have elevated externals, and then you have reverse throws. So those three exercises are designed to flush out the decelerators in the shoulder, the back of the shoulder, and that helps with recovery. We’re not saying that if you do J-Bands that you’re never going to be sore because that would be unrealistic. However, this will help you bounce back quicker and maintain health longer. Baseball Coach: What about long toss? Jason: Long toss I would say two to three times a week. Don’t do them back to back days… Monday, Wednesday, Friday. Tuesday, Thursday, and Monday, Friday, something like that. But again, everyone is going to be different. Now, at a young age, some kids, the idea of long toss is going to be, “How far can I throw the ball,” and now we’re going to wind up, and have this awful mechanics, and throw their heads in the whole line. Long toss is not done that way or the way I was taught how to do it. It’s as you go back, you go until the point where you can throw the ball as far as you can under control. We don’t want to get to the point where kids are throwing their front shoulders out, dragging their arms behind them, throwing their heads out all for the sake of trying to throw a ball as far as they can. Go to where it’s controllable and then hang out there for a little bit, and they maybe get another yard, or two yards, or maybe we have to come back in, but you’re putting the ball on an arc as you’re going out. And then when you’re coming back in, we’re trying to put the ball on the line, and that’s where the arm speed, and health is built up. Baseball Coach: What are your thoughts on ice and heat? Jason: Ice and heat? I feel like if you do your recovery work well enough, ice should be minimal. We should save ice for certain ailments maybe post-game. That’s fine if you… say he threw 30, 40, 50, 60 pitches, whatever it might be, go and have an ice. Heat is okay. I don’t have a problem with heat. But ice, I would just use it sparingly. I think if you’re doing your warm-up and you’re doing your recovery properly, ice is a really archaic form of reducing swelling and things like that. Something like heat or some kind of an active recovery where you’re getting the blood flow going, that’s taking that same accident, and now, all those cars are pulling off to the side, so those services can get right to the accident. So you have to have some kind of a blood flow in there. Ice restricts blood flow, which restricts healing. It just makes us feel good. So if you’re doing proper recovery, ice shouldn’t be necessary all the time. I’m not saying that there’s not ever a time to use it, but I would it sparingly. Baseball Coach: What’s the ideal for pregame bullpen number of pitches? Jason: Pregame bullpen? It’s going to be up to the kid. And if you want to say, “Hey, you’re going to throw 15, 20 pitches to get loose,” it’s whatever it’s going to take to get loose. I would work from the stretch and the wind up. 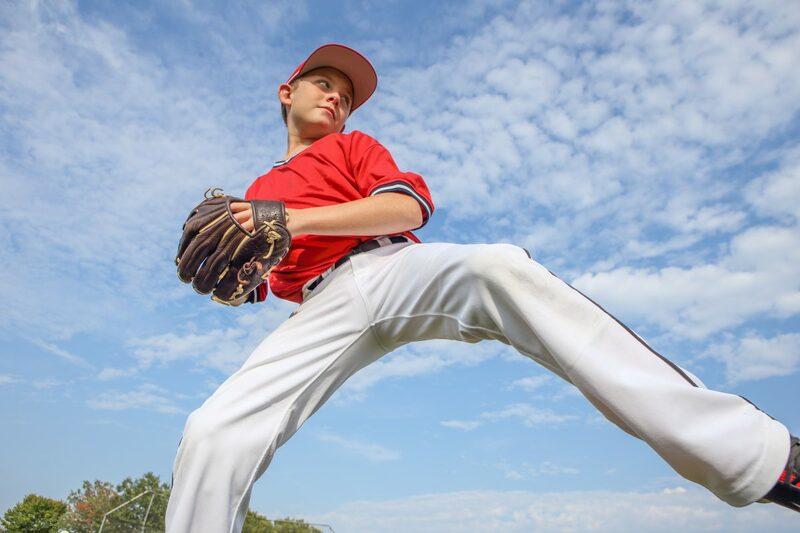 Your kid is probably going to… unless he’s really good at throwing, no hitters and perfect games, I would say work primarily out of the stretch, and then let’s save your last 8 to 10 pitches from the wind up just so you’re acclimated to it. But it’s going to be totally up to the kid. I think my number was like 23, but I knew I had to do three fastballs here and three fastballs there, four changeups here, two sliders there, then I go from the wind up, three fastballs, three fastballs, and I’d go developing that routine. So even for kids at 12, 13, 14 years old developing a routine, this is a great time to do it. From a mental perspective, when we talk with our kids, developing a process is also a great time to do this. And this is something that’s not just when it’s convenient or when coach reminds you. Our process is something that is going to be unique to us. Guys who watch the Rockies, you’ll see Trevor Story and even Tulo did it when he was here. Before he gets in the box, he’ll look at the label on his bat, take a big deep breath, and then step in the box, and be ready to hit. That’s his process. That’s how he gets ready. If you watch pitchers, major league pitchers, everyone has got different ticks, different things they do. Gerrit Cole is one of those guys who’ll throw a pitch and then he’ll come back up, he’ll stare at the rubber, he’ll do a little gardening, kind of clean it off a little bit, and that’s his way of letting it go, and then getting back on the rubber. But those are things that are learned. And so at this youth age, at 12, 13, 14, this is a great time to put those habits into play to develop those routines. Pregame bullpens are another one. So you just got to figure out what works for you. Somebody one in the back. Baseball Coach: Can you repeat the website [INAUDIBLE 00:17:23]? Jason: It’s Jaeger Sports, jaegersports.com. And then at the very top it’ll say J-Band Exercise Sheet. And so there’s two versions. There’s an 8.5 x 11 that you can print out and then there’s a booklet that you can print out also. The pictures are exactly the same. Baseball Coach: Your thoughts on off speed, changeups, curveballs, what age to bring that in? Jason: Sure. So the question was about off-speed, changeups, curveballs. Changeups, I’m a huge fan of. It’s the most unfair pitch in baseball if thrown properly. So it’s just getting kids to understand that the grip is what takes the speed of the ball, it’s not the arm of the body. So just getting them to understand that and they can play with different grips, circle change, palm ball, split finger, whatever the kid is capable of doing. A lot of kids have smaller hands so it’s difficult to throw circle change, straight changes, pitch fork change, however you want to call them. There’s a billion different variations. Curveballs is a touchy subject and it always has been. So from my research and what my understanding of it is curveballs are no less stressful on the arm than throwing a fastball. However, curveballs and sliders are the number one and number two leading cause of injuries in youth athletes. So from my understanding the way I try and tell our kids and our parents is it’s not the curveball that’s the problem, it’s the coach knowing that the kid has a curveball because then he’ll call it five out of six pitches. If you watch the Little League World Series, all those kids do are flip breaking balls in there. Why? Well, the other team can’t hit it and we’re trying to win the tournament or trying to win a game. And at the end of the day, that does more harm for the kid than good. We have to develop the fastball and then we can use those other pitches, complimentary pitches, not as primary pitches. If it was always curveballs, you’d see guys in the big leagues throw 80 curveballs and throw a couple of fastballs to get them off, and it kind of work in that way. [INAUDIBLE 00:19:17] big leagues is a good example of that. But what are we trying to tell our kids is it’s not one to two a batter, it’s one to two an inning. So if you’re going to throw a three or four innings, you’re going to be at 8 to 10 curveballs in over the course of the game. The rest of them should be fastballs and changeups. So learn how to locate a fastball, learn how to throw a changeup, and then use your curveballs to complimentary pitch. Keep it in your back pockets especially if you have a good one. But for me, it’s coaches knowing that kids have good curveballs and they’ll just sit there and call curveball after curveball after curveball after curveball. And next thing you know, that kid is pulling up playing with a bad arm. So I don’t have a problem teaching a kid a curveball, but I have a problem with coaches overusing that curveball. So you might look at me and say I’m crazy for that. That’s just my understanding of it. That’s what I try and tell our kids. So you can do your own research by all means, come to your own conclusions. That’s just what I’ve come up with. Jason: During the middle of the week, two to three bullpens would probably… or sorry, not two to three, one to two bullpens, complimentary bullpens would be good. If you’re going to throw with like Friday, Saturday, Sunday, yeah, so you could say… it depends on when they throw. They throw all three days during the weekend, you should probably give them, like, Monday off, and then maybe come in throw Tuesday 25, 30 pitches would probably be good. Bullpens are not max effort places. That’s a place for you just to kind of make sure that your mechanics are still in-tuned. You kind of work on something say over the week and my changeup was terrible. Go ahead and throw a couple of fastballs, get the arm hot, and then also work on some changeups. Let’s throw 15 or 20 changeups and work on something. And then maybe a day or two later, you’d throw another one where you just work on your fastball location, but give kids a day of rest or two. Let their bodies recover especially after long strenuous weekend, [INAUDIBLE 00:21:10] tournaments or run. You play two, three, four games in a day, which is absurd, but that’s the way these tournaments are ran. They’re trying to get as many teams and this thing is possible. So just make sure, again, it’s common sense, don’t throw kids five, six days in a row. Get them some time off, but then bullpens should not be max effort, that’s a place for you to work on things. Baseball Coach: One more question about bullpen. Baseball Coach: Can you suggest the percentage like 75% effort working up to 100%? Jason: For the little kids, for 11, 12, 13, 14, they’re not going to understand percentages. They don’t know what a 50% fastball and a 100% fastball is. They’re going to get to throw there as hard as they can, but just tell them like, “Listen, this is not a game situation. We’re just going to kind of work out some stuff.” But don’t go to the point where it looks like they’re doing things half-assed and they’re guiding pitches and things like that. You still need to throw the ball. They don’t quite understand the idea of dialing back a little bit. So just make sure that they’re aware of that and if you see it looks like they’re just kind of going through the motions, you can tell them to ramp it up a little bit. But again, if their arm is not feeling good, they’re going to pull back. If their arm is feeling good, then they’re going to let it fly. They haven’t learned that self-regulation yet. So I would just be cautious with it, have somebody monitor it. Don’t just tell a kid to go off and throw a bullpen. Somebody should be there watching them. Jason: Most common things I see that are wrong? Baseball Coach: That hurts your arm. Jason: Yeah. So at my facility, we always look at arm action. I look at arm action before anything else, so I don’t care what the rest of the body looks like. If the arm doesn’t work right, then there’s no point in trying to teach them anything else. So we look for your at foot strike, where is the hand? If the hand is hanging out down here, we’ve got a problem because now you’ve got to flip it up and throw it all at the same time in a very strenuous motion on the shoulder. We try to look for at foot contact. We’re looking for that elbow to be even with the shoulder or maybe slightly below it. Sometimes you’ll see kids with a really high elbow. We’d want to try and bring that back down. So when you’re up here and you’re turning, there’s a lot of shearing forces that are going on in the shoulder. So I always look for the arm first. Once the arm is done, then we can look at body positioning. We have a lot of kids that don’t get to a balanced point. They’ll rush through it. Some kids will dive out with their front shoulder. We’re trying to keep their heads back over their back legs and there’s various drills that you can find to kind of help those things. One of biggest tools that we use for arm action is called the Connection Ball. You can get them at oatesspecialties.com. I think they’re eight bucks, nine bucks. And it looks like a dodgeball or a beach ball. It’s small though. It’s about [INAUDIBLE 00:24:06] big. And we put those in between the bicep and the forearm or we’ll put them underneath the tricep, kind of in the armpit area, and that just helps them stay in that position when they throw to kind of teach that muscle memory. And that’s for us, like I said, once we’re heading at foot strike, I want to see where is that arm. If it’s here, even if it’s out like a 45-degree or this way, we’re okay. If we’re flat or we’re inverted, we’re going to have some issues. So I always look at that stuff first. And then, if you can’t see it with the naked eye, if it looks like it’s fine, take your phone out and take a video. I mean, everybody has got a phone, everyone has got a camera on it. If you have an iPhone, it’s got a great slow-mo feature to it. There’s great apps out there. We use Coach’s Eye at our facility, there’s Hudl, which are both free, and you can scrub frame by frame on those things, and just look at where’s… when that front foot is all the way down, where’s that arm position? If it’s in the right spot, then you’re good and you can move on. If it’s not, then we got to work on that. Anybody else? Arm care mechanics? Good? Danny, do you have anything? No? All right. Well, thank you guys. 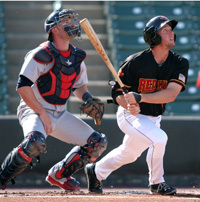 Jason Started his career as a 2nd round draft pick of the Houston Astros where he won AA and AAA Pitcher Of The Year Awards in the Texas League and Pacific Coast League. 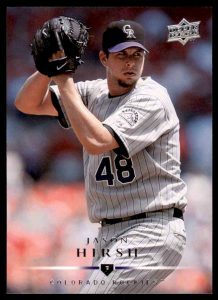 He was traded to the Rockies in the winter of 2006 and pitched for the 2007 National League Champion Colorado Rockies, helping that franchise reach it’s first ever World Series. 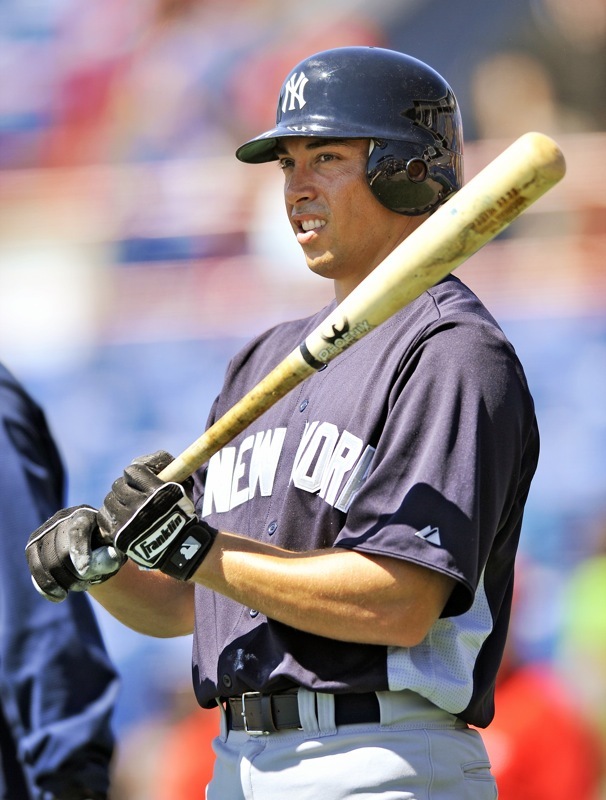 Hirsh developed a passion for arm care and injury prevention when an injury essentially ended his own Major League baseball career. Since then, he has been dedicated to helping young baseball pitchers develop their velocity in a way that maximizes their potential in a safe, effective way. Jason founded FAST Arm Care in Denver, CO, in 2013 as a response to what he saw as a lack of arm care and development in youth baseball. FAST is committed to providing each and every athlete access to the latest and baseball development methods and technology. We strive to provide your athlete with the best possible baseball development in Colorado or wherever you reside.